Thankfully, we’ve scoured the island for the 10 bars in Singapore with the cheapest beer towers under $50 and ranked them from cheap to cheapest. You’re welcome, because you’ll never have to burn a hole in your wallet again for another crazy drinking night. Cheers! Legend has it that there’s a hipster cafe opposite Sengkang Riverside Park that doubles up as a magical wallet-friendly drinking den. Even better, at Legend Cafe, they serve homemade craft beer made from their very own brewery on the island. How cheap is it? Legend Cafe’s two-litre beer towers are $36 for White and $44 for Dark, while their three-litre towers are $51 for White and $62 for Dark. While the three-litre towers here don’t exactly hit below $50, Legend Cafe is known for their amazing discounts. With frequent promotions such as 1-for-1 beer towers and your second tower at 50% off, just do the math. You may actually get better value for your bucks here than at any other bar! If you stay around the Yishun area and want to get a drink, head over to Quench! Bistro and Bar. Even better, this bar is situated inside ORTO, which houses Singapore’s largest prawning facility; what better way is there to enjoy the activity than over a tower of beer? Rejoice, because Quench! Bistro and Bar is currently offering an amazing promo for one of my favourite beers, Hite. Their 3L Hite Beer Tower is going for $55++ per tower, or $98++ for two towers ($49++ per tower)! And would you just look at that lake view. My fellow prawners, it gets even better. ORTO prawning customers who purchase three-hour prawning packages are also eligible to purchase a 3L Hite Beer Tower at only $39.80++. I don’t know about you, but I’m already making plans to go prawning with my kakis. With booze in the picture, you in? Being the food haven that it is, you might already be heading down to Telok Ayer for your next TGIF. But if you’re looking for a great place to knock back a couple of drinks after work alongside yummy nibbles, Miss G’s Grill & Bar is what you’re looking for. Over here, you can indulge in innovative cocktails but better yet, $40 Beer Towers. Who knew that a restaurant would be hiding such an amazing drinking promo to complement your meal? At this restobar, you’ll also find that the value-for-money extends beyond the drinks. Our team raved about their Japanese-inspired Cold Truffle Somen With Hotate ($14.90) that dishes up glorious scallop slices and everyone’s favourite truffle. Just the thing so you won’t have to drink on an empty stomach! My personal favourite bar, Kanpai 789, has gotten me through some stressful periods in my NS life. And it just got better with these beer tower promos that have me internally screaming. At this Japanese craft beer garden, you can grab an Asahi or Kronenbourg Beer Tower at just $40 all day long. Kanpai 789 is also situated in Robertson Quay’s main bar area, where you can enjoy a cooling al fresco ambience while you drink. It’s close to the clubs, making it perfect for a quick pre-drink before the night’s shenanigans begin. Just like its namesake, you’ll really want to kanpai here! If you’re looking for a great place to TGIF, head down to Obar. There’s even a great deal for stout lovers – the Beer Gao Promotion that gives you a Tiger Beer Tower and a Guinness Stout Tower for just $100 ($50 each). Well, I did promise you UNDER $50 and Obar is no exception. From 12pm – 6pm, there’s a Tiger Beer Tower promotion going at $39 a tower every day. Each of the four Obar outlets also has its own concept. You can enjoy live music from local bands at the Punggol outlet, or live out your rock star dreams by singing karaoke at the Upper Serangoon one. There’s even one in NUS for students to destress after a hard day of hitting the books! Be warned, after hearing this, you’ll be running straight to Kallang Wave mall. With a sports bar concept, you know that Al Capone’s Kallang will be doling out the beer on the double. They do one better, with their cheap beer tower offerings. For one, their 3L Heineken Beer Tower is only $39, and not just during Happy Hour, but ALL DAY. In the rare chance that you’re still unimpressed, the promos at Al Capone’s Kallang gets even better on Mabuk Mondays. Basically, on Mondays, Al Capone’s rolls out a new fantastic booze promo with the likes of $29 for a 3L Heineken Beer Tower and a $4.90 Guinness Draught Pint (U.P. $8.80)! Stay up-to-date to see what boozy surprises they have in store for you next Monday. An extension of the award-winning Italian restaurant, Bonta, District 10 Bar & Restaurant is the place to go for superb Italian food. But what’s a hearty plate of pasta or pizza without a little beer? Accompany your meal with their 3L Asahi Dry Tower that goes for only $38. The best part? The promotion is actually on at the right time when you would be drinking – available only on weekends from 5pm. 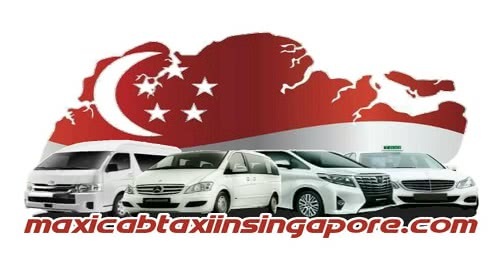 Do note that the promotion is only for the UE Square, The Star Vista and Suntec outlets. If you do want a little exclusivity as you drink, 283 Cafe offers just that as entry is only upon approval. 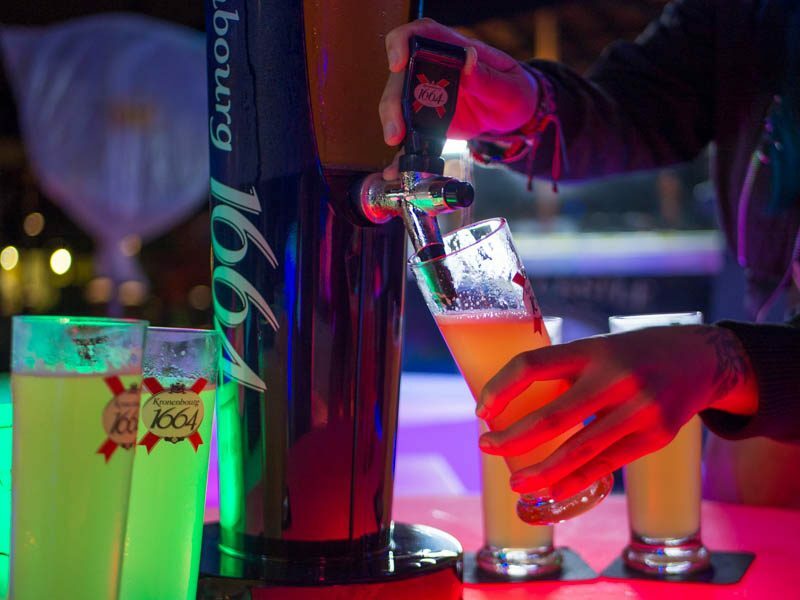 Once granted entry, you’ll not only feel special, but you’ll also be entitled to some amazing beer tower promos. As a VIP member, you can get their specialty sub-zero cold beers for dirt-cheap prices. The beer towers go as low as $36 for a Draft Denmark 3L Tower! Some other jaw-dropping prices include their Tiger Beer 3L Tower ($38) and Heineken 3L Tower ($48). Even better than the beer tower promos, 283 Cafe also has an air hockey table! Quick, sign up now to be a privileged VIP member. With deals this good, this is one place worth fighting to get into. We already frequent Stickies Bar for their amazing Beer O’clock promo that prices a pint of beer based on the hour ($2 pints at 2 o’clock!). Turns out, their beer tower promotions are just as good. During Happy Hour from 6pm – 8pm, a Beer Tower goes for $35 (U.P. $55). Or jio more friends and get two Beer Towers for $60. That’s only $30 a tower! Top that with Stickies’ interactive bar space boasting pool, PS4 games, darts, free-to-choose music and board games. All yours at no extra cost! With two locations in Clementi and Riverside Piazza, you won’t even have to travel far to get to Stickies Bar, so what are you waiting for? It’s here, the cheapest of the cheapest! New kid on the block, Sleeping Giants, is hitting it out of the park with their AMAZING alcohol deals. Not only do they feature Singapore’s first-ever Housepour Towers ($29.90 for first tower, $19.90 for second tower onwards), we believe they also have the cheapest beer towers in Singapore! The Cresten Beer Tower is just $18.90 (U.P. $22.90) during Happy Hour (3pm – 7.30pm) from Sundays to Thursdays. Toh la! Even if you miss Happy Hour, you’ll be kicking yourself because beer towers here don’t ever go over $40. The selection also includes more familiar brands such as Heineken Beer Tower ($33.90 during Happy Hour, U.P. $38.90) and Asahi Beer Tower ($34.90 during Happy Hour, U.P. $38.90). These beer promos barely even scratch the surface, so you’ll have to head there for yourself to find out more (not like you needed more convincing). And there you have it, the cheapest beer towers there are in Singapore! It may have taken some time to compile this list, but it was definitely worth it because I now know the cheapest places to get drunk even with my broke 21-year-old budget. If you know of any other bars that sell even cheaper beer towers, do let us know and in the meantime, brush up on your drinking games before you hit the ones on this list! SINGAPORE Travel guide, top 5 best places to visit in singapore ! !